Facebook Founder, Mark Zuckerberg has once again found himself at the centre of a row, after saying posts from Holocaust deniers should be allowed on Facebook. In an interview with technology website Recode, Mr Zuckerberg said that he did not believe such people should be removed from the site. They were not, he said, "intentionally" getting their facts wrong. The comments caused a backlash and Mr Zuckerberg later issued a clarification. The original comments, given in a wide-ranging interview with Recode, were made in response to questions about what Facebook was doing to combat fake news and sites, such as InfoWars, that promoted conspiracy theories. In Myanmar, also known as Burma, Facebook has been accused by UN investigators of facilitating violence against Rohingya Muslims by allowing anti-Muslim hate speech and fake news. The social network has now said that it will begin removing misinformation that could lead to people being physically harmed. When asked about its policy on fake news, Mr Zuckerberg offered, without prompting, the example of Holocaust deniers. "I'm Jewish and there's a set of people who deny that the Holocaust happened," he told reporter Kara Swisher. "I find it deeply offensive. But at the end of the day, I don't believe that our platform should take that down because I think there are things that different people get wrong. I don't think that they're intentionally getting it wrong. "Everyone gets things wrong and if we were taking down people's accounts when they got a few things wrong, then that would be a hard world for giving people a voice and saying that you care about that." The comments caused a storm of protest. 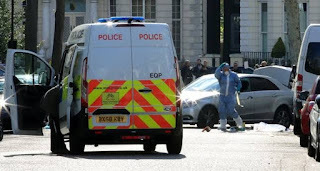 Editor of anti-fascist magazine Searchlight Gerry Gable told the BBC: "Zuckerberg could kill much of this dangerous material getting worldwide distribution - but he is a like a spoilt teenager." "Because of his financial powers, he just does a bit of tinkering without understanding how this material could inspire crazy people to firebomb synagogues, mosques or churches." NBC News reporter Benjy Sarlin tweeted asking whether Mr Zuckerberg thought the debate over whether the Holocaust had happened was in "good faith". 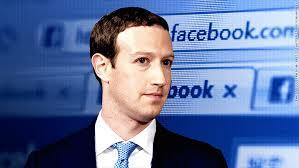 And Matt Ford, a reporter at The Atlantic, pointed out that Mr Zuckerberg had not even been asked about the Holocaust - "he just said he'd keep it on Facebook on his own". After the comments drew fire from many, Mr Zuckerberg issued a clarification. "I enjoyed our conversation yesterday," he said in an email to the reporter, published on the Recode site. "But there's one thing I want to clear up. I personally find Holocaust denial deeply offensive and I absolutely didn't intend to defend the intent of people who deny that." Facebook has faced criticism over the way the platform can amplify false reports and has been engaged in an advertising campaign both on and offline declaring: "Fake news is not your friend." But it has faced questions about why it continues to allow sites such as InfoWars - which has called the Sandy Hook massacre a hoax - to remain on the platform.